It is with great sadness that Commendatore Antonio Carluccio OBE sadly passed away on the 8th November 2017. 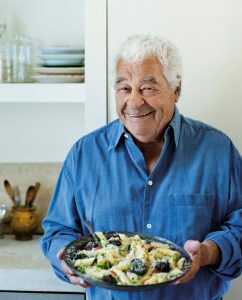 Neil Wickers, CEO, Carluccio’s : “We received the incredibly sad news that Antonio Carluccio passed away earlier this morning. Antonio built this business from one restaurant to the fantastic brand it is today. It isn’t just Antonio’s name above our doors, but his heart and soul lives and breathes throughout our business. He has been a huge inspiration to many of us and his energy, zest for life and sense of humour will be greatly missed.